This is the sixth time in 7 years that JWU’ s AD TEAM will compete in the national round of the competition. 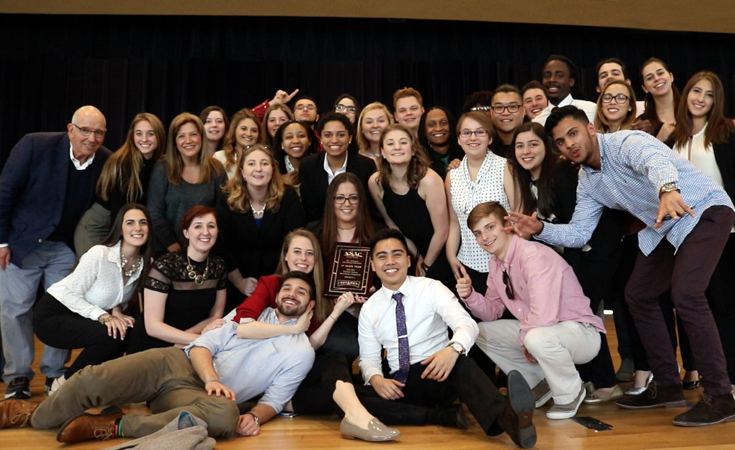 To qualify for nationals, the ADTEAM competed in a district round, beating out schools such as Boston University, Endicott, Emerson and others. The team then moved on to the eighteen team se mifinal round, where they advanced in favor of institutions including Syracuse, Louisiana State University, Purdue and others. The National Student Advertising Competition is AAF’s premier annual college advertising competition which provides more than 2,000 college students the real-world experience of creating a strategic advertising, marketing and media campaign fo r a corporate client. All college teams that competed created an advertising campaign for this year’s corporate client, Tai Pei, which offers 10+ varieties of single-serve, takeout-style entrées, an assortment of Asian appetizers and a full line of family-sized products. The campaigns included each element of advertising: television, radio, social media, and print. About Johnson & Wales University: Founded in 1914, Johnson & Wales University is a private, nonprofit, accredited institution with more than 15,000 graduate, undergraduate and online students at its four campuses in Providence, R.I.; North Miami, Fla.; Denver, Colo.; and Charlotte, NC. An innovative educational leader, the university offers degree programs in arts and sciences, business, culinary arts, design and engineering, education, health and wellness, hospitality, nutrition and physician assistant studies. Its unique model integrates arts and sciences and industry-focused education with work experience and leadership opportunities, inspiring students to achieve professional success and lifelong personal and intellectual growth. The university’s impact is global, with alumni from 123 countries pursuing careers worldwide. For more information, visit www.jwu.edu.